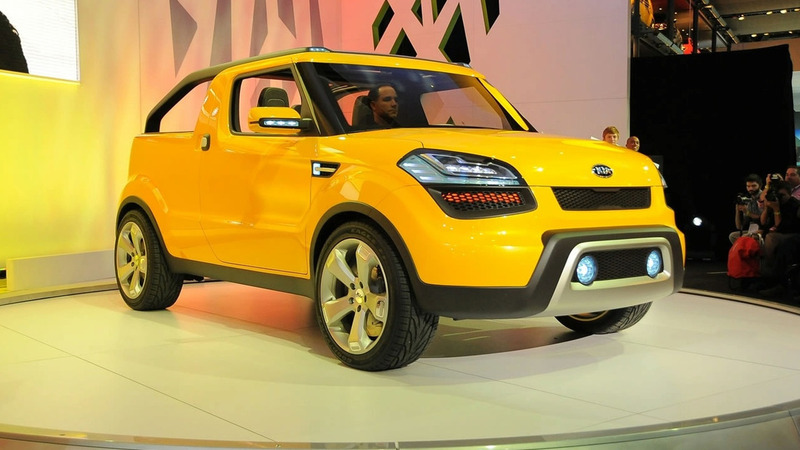 The Kia Soul-based Soul'ster Concept is making its mark on the Detroit circuit. It's primarily an open-air activity vehicle for those who are young at heart and like to go out and play. 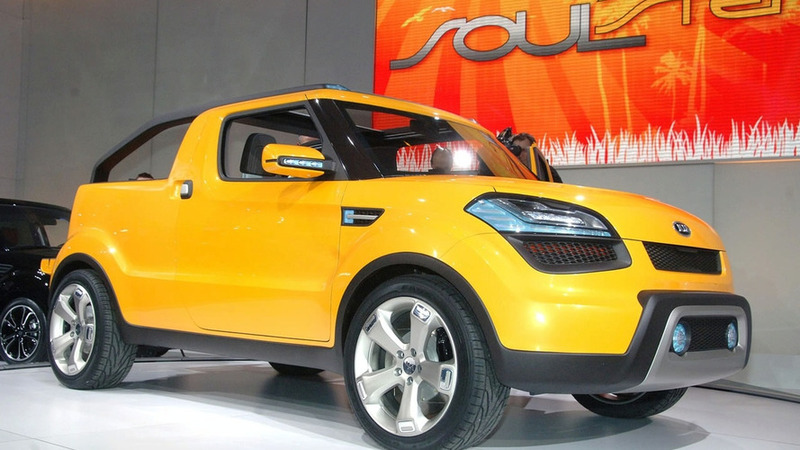 Kia has removed the covers from the Soul'ster Concept at the Detroit Auto Show. The Soul'ster is based on the Soul and will offer open-top adventure motoring to the young at heart. Four engines power the Soul'ster. A 1.6-litre 5-speed petrol with 120hp (89kW), a 2.0-litre four-cylinder with 140hp (104kW) and a choice of 5-speed manual or 4-speed automatic transmissions, a 1.6-litre with 124hp (92kW) or a 1.6-litre turbo diesel are fitted. Some of the engines may not be available in all the markets of the world. Stressing fun and adventure the Soul'ster is characterised by a two-piece top that can expose the front and rear seating rows independently of each other. The exterior features LED headlights, dual chrome exhaust pipes with polished aluminium tips. Side vents, side-mirror turn signals, the headlights, foglights and tail lamps incorporate blue shades. Wheels are 19-inch alloys. Its windscreen has been shortened for a hunkered down appearance. A departure from the Soul's five-passenger layout, the Soul'ster takes strictly four passengers, each of who have their own individual seats. The front-passenger and rear seats can be folded completely flat in order to load up long goods for whatever intended activity.